He has a point, Something Fresh, something with all the GTA characters/ OR just continue on it by adding GTA4 and more SA/VC/GTAIII spots.. I think the forums banner looks fine just the way it is, but the banner on the main page could do with a change. Banner on the main page, just needs a Niko Bellic addition, other than that its fine, but ti would be good to freshen things up, though I am not really that bothered. I still enjoy looking at it, but when IV comes, it would be nice to have a new one, in the theme of IV. 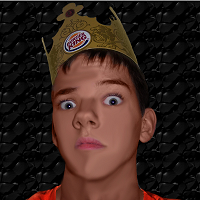 Meh, I was kinda bored, so I made it to kinda show you what it might look like. But Chris might go for a new style though if he was to make a banner for when IV comes. But anyway. I agree the one on the main site definitely needs changing - it's two bridges and a hill, with a handful of protagonists clustered together. The forum one is alright, but has needed some updating for IV for ages. There are plans for a new site design and forum skin, and no doubt both of those will include new logos. However, it may be an idea to add some IV stuff to both of the existing ones in the meantime. I don't mind any of the banners, although the Site banner has been around a little while. I do think that a new site banner would be good but maybe a new forum banner with the inclusion of a few Screenshots from most of the GTA games or even a forum skin for every GTA Game. I think each skin would follow a particular colour and style such as the Vice City skin may be Pink or Light Purple. I don't really think there should be any huge changes to the banners because there is nothing really wrong with them except there age. Lol @ that theme Chris was working on. The Statue Of Happiness looks a little grey? Thomas, your one is good, I don't know, there's something wrong. Don't change the opacity of Niko, I see a line next to Toni's ear, Tommy looks a little "light". The text is Ok, but I see little white squares in some of the letters. I might try one later. The line is a fade problem and I will fix it, the squares on the text aren't supposed to be there but I'll see if I can fix it. I'll rearrange some of the layers around and see what effects I can add and take away. Edited February 19, 2008 by Thomas. I think that looks a lot better, I tried making one but I fucked up somewhere and it all went wrong. I'm going to try and all round GTA IV one and some other ones to see how they come out. I want to add some graphics to my "gallery" on photobucket. I really don't care about the banner, but the site would look fresh with a new banner. 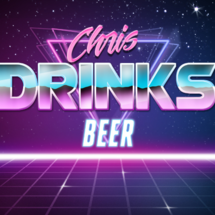 I tried making one a while ago for Chris, but I think he just over looked it. Don't waste your time guys. I don't mind making banners because I enjoy making them, except when searching for the GTA Pictures and it takes ages. Obviously it has to be of a very high standard to be taken seriously - and has to be original (not just the existing one plus a couple of images, not the same as other sites). I personally think a wider banner would be good atm - make it 1250px or something (so theres 30px to kill for scrollbars and the padding/margins). Obviously it needs to fade to a solid color to the right, or if you're *really* good you could tile it exactly. I'll attempt another one later. I need to think of what I have to add to my other banners what I posted. I will need to find some extra pictures and cut out a lot more Artwork and Pictures. I can promise you another one will be posted tonight before 10:30 PM . Gerard you have any advice or something on the banners I made earlier? EDIT: This took me 30 minutes to do and it's 45 minutes before 10:30 . I took a swing at it. Can't say I particularly like this, but it's a shot. Did you not see the part where I said I didn't like the idea particularly??? Gerard said they wanted something original and your idea isn't really all that original. I don't know if mine is...well most likely not to the extent that mine is. Pretty much every GTA fan site has the main characters with screen shots in the background.